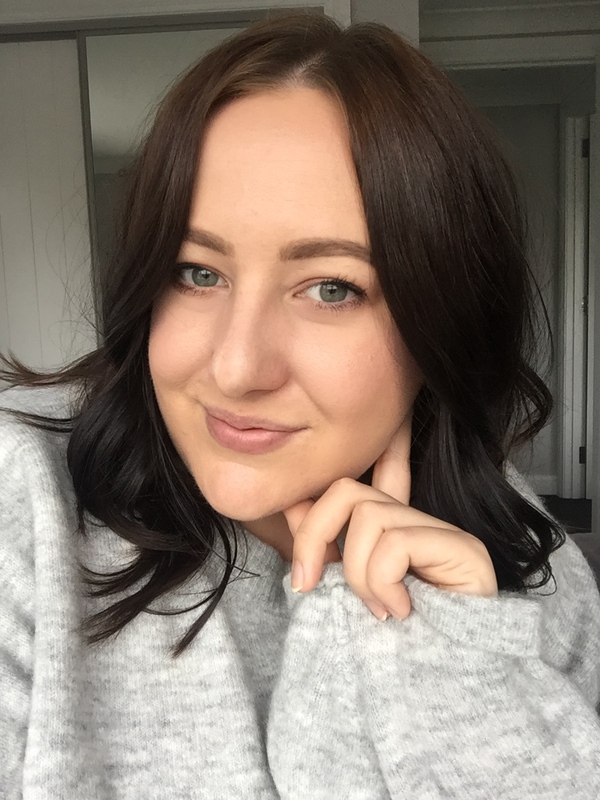 When one of best friends traveled back from the States, I just couldn't resist getting her to pick up a few things from Sephora (the other items she makeup-trafficked for me I have already featured on CM; including the Tarte Be Mattenificent Palette + the Too Faced Beauty Blogger Darlings Set). 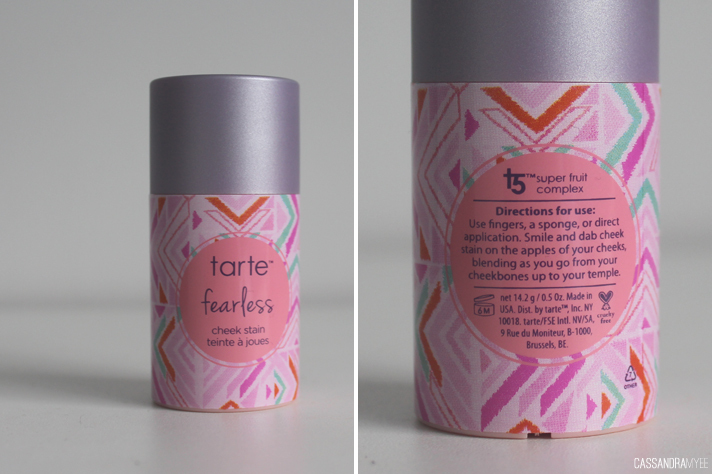 The last item she got for me was one of the new Tarte Cheek Stains, this one in the shade Fearless. I am having a bit of a love affair moment with Tarte at the moment (and you have been warned, more Tarte goodness is on its way to CM!) I think their products are just beautiful, right down to the packaging. And these Cheek Stains, well they do not disappoint. There are 8 shades available, each one corresponding to one of their infamous Amazonian Clay 12hr Blushes. The packaging on each one includes a different pattern and they are a very cute, compact size - perfect for travel if you are worried about cracking any powder blushes. Fearless is described as a coral pink on the website and I can't explain it any better myself. The packaging has a twist off lid, with the product in a large tube style, that pushes up from the base to provide more product. It has a very fruity scent to it, and is possibly due to the 'T5 super fruit complex' it has as an ingredient. It took me a few uses to find the best way to apply it; it advises you can use fingers, a sponge or use it direct from the tube, but the best method I have found is using a stippling brush (I use one from the e.l.f. Studio brush line, which works great, but also have used the Real Techniques Duo-Fibre Face Brush too). I simply dab the brush into the top until I feel I have enough product and then dab the product up the cheeks towards the temple, which creates a really natural looking flush of colour. Obviously, there are a number of different ways to apply it, but it would be a thing of personal choice, but I do find going directly from the tube can make it a little hard to blend out evenly, the stippling brush just ensures you have an even and blended finish. 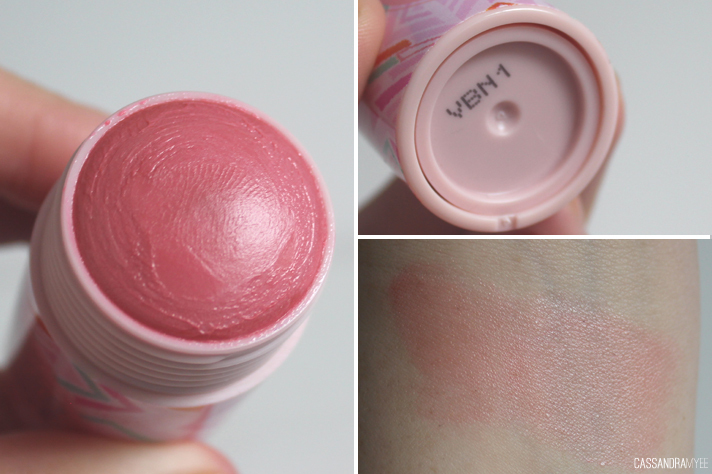 As it is a cream product, these always look the most natural and give a slight dewiness, without the shininess. The stain formulation means this product lasts all day on the skin; if you dust over it with a blush of a similar shade this is only going to amplify the colour even more and keep it lasting that extra bit on the face and will also eliminate any hint of a sheen if you want a fully matte look. I've really been loving cream blushes at the moment, and this formula and offering from Tarte is one of the best ones I've tried. Unfortunately, Tarte is unavailable in NZ, but you can use Youshop/ShipItTo to forward on from US sites such as Sephora and even the official Tarte website. 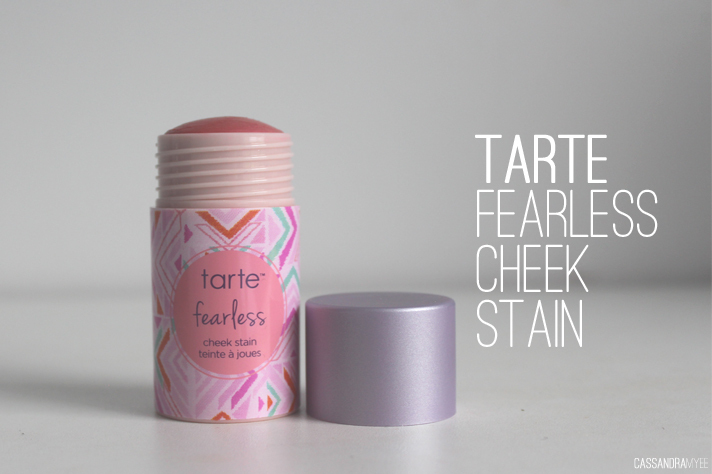 Have you tried these new Cheek Stains? Are you one to dabble in a bit of cream blush action?